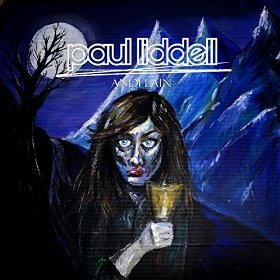 Epic is not usually a term used to describe an album from your average singer songwriter, but then Paul Liddell isn't your average singer songwriter. Songs that would have been precious little nuggets of gold in his live show have grown into multi-layered masterpieces. Soaring guitars, deftly crafted percussive accents and those beautifully characteristic Paul Liddell vocals with their unmistakable Geordie accent fit together to make an album that only gets better with every listen. One gets the feeling that Andelain is a culmination of ideas that have been forged on the road and the stage. The arrangements a mirror of the looping pedal he uses on stage, the sprinkling of spoken words echoes of conversations picked up on the road. I've a feeling Andelain may be given a "folk music" tag at some point but I think that would short change Paul as some songs might even be compared to Ed Sheeran and even Sting! A great entry point album for those new to Paul Liddell's music and a a gem for those familiar with this very talented musician.